Welcome home to an open floor plan featuring 3 bedrooms, 2 bathrooms, with a large kitchen and dining area; all overlooking incredible mountain views. 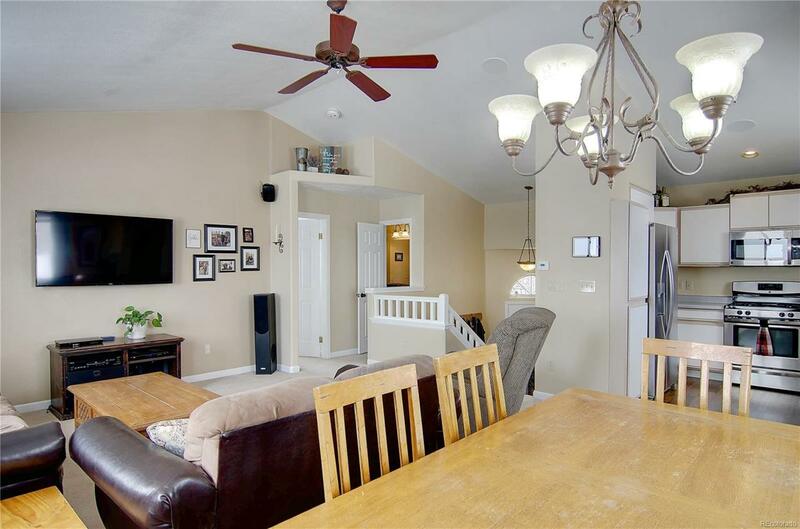 Spread out in 1800 sqft highlighted by two living areas, with a walkout lower level to a generous back deck and yard. Boasting tons of storage this sunny and bright home has a main level master suite, stainless appliances, and 2 car garage. Contractor-owned, this home has been very well maintained and thoughtfully updated with a travertine tile master shower, whole home audio and security system, radon mitigation, and incredible built-ins throughout, including desk area, pantry, walk-in master closet, garage work bench and outdoor storage shed. This home is ready for you!